Color combinations can be difficult to get right. When matching with clothes, it’s easy. But for projects, ad campaigns and posters, the millions of colors to choose from can be overwhelming. Working under a tight deadline forces many people to choose safe or dull colors that lack substance. 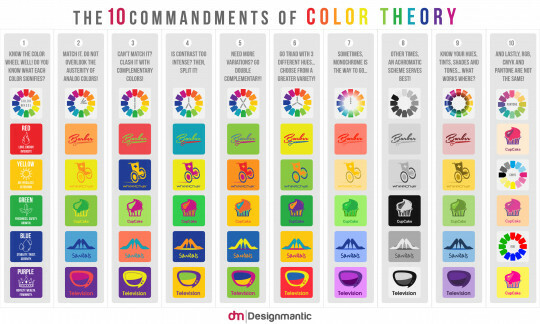 For those who are not well versed in color theory, there’s this infographic. The diagram shows brief descriptions of the foundational colors of the rainbow and indicates when and how to use them properly. The best part about the infographic are the samples. Since all of the samples are on one visual, making comparisons of color combinations can be quick process. If you don’t know where to start in using the guide, start with the questions and work your way from left to right.